The Peoples Democratic Party has said its Presidential candidate Atiku Abubakar will reduce petrol price if elected in 2019. 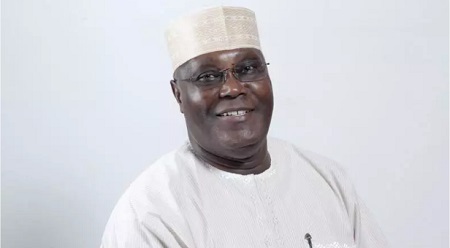 Nigerians will enjoy reduced cost of petrol if Atiku Abubakar, the presidential candidate of the Peoples Democratic Party (PDP) is elected president, Nigerian Tribune has reported. The party made it known in Abuja on Thursday that the candidate has worked out a pricing template that will immediately crash the pump price of fuel in the country. This is coming as the party has completely rejected the Buhari-led Federal Government’s increase of the official prices of diesel and kerosine, stating that such will bring more economic pressure on the already impoverished nation, as most businesses and homes across the country heavily depend on these products for sustenance. The PDP said with the current price template of crude oil in the international market, the Buhari administration has no justification to keep the pump price of fuel at N145 per litre and watch Nigerians groan under the weight of high prices, while a cabal at the presidency loot the funds meant to subsidize the product. The PDP noted that had the Buhari administration heed wise counsel to be transparent in its dealings in governance and to engage more experienced hands on petroleum issues, the nation would not have been in the dire straits we face today. The party, however, urged Nigerians not to despair as its Presidential candidate, Atiku Abubakar, has already worked out a blueprint that will end sleazes, ensure appropriate pricing template and free resources to guarantee availability of product on a national pricing regime. In a separate statement, the main opposition party has sternly cautioned the National Leader of the APC, Asiwaju Bola Ahmed Tinubu, not to draw himself out by joining in the smear campaign and unsavoury comments against its Presidential candidate, Atiku Abubakar. The party said Asiwaju, as an elder, should not reduce his pedigree by engaging in indecorous utterances which has become the trademark of his dysfunctional party. The statement added: “It is also instructive to state that a person of Asiwaju status can conduct his political activities without recourse to indecent language that is lacking in respect for a personality, such as Atiku, whom Nigerians, across board, have generally resolved to be their next President. The PDP therefore cautioned Tinubu to redirect the discourse of his party to productive issues instead of this unbridled resort to lies, deception, beguilement, propaganda, smear campaign and uncouth language, which Nigerians now resent.